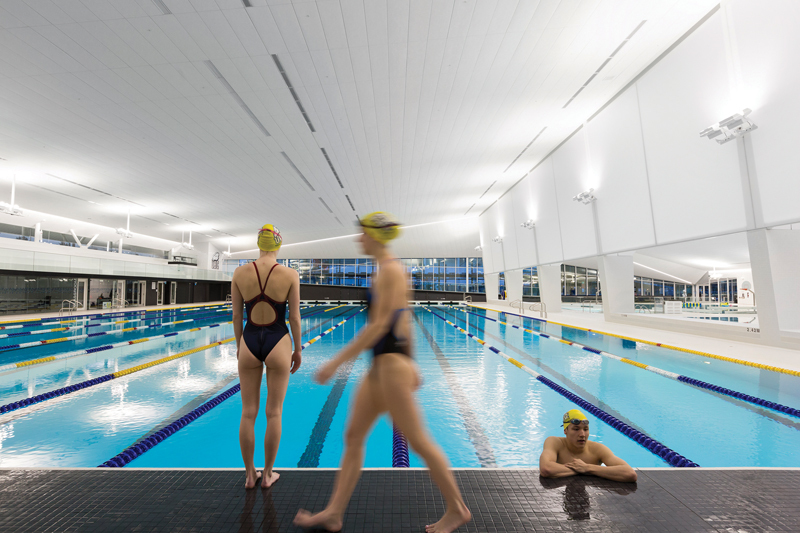 The Aquatic Centre’s central Y-shaped bank of columns splits the structural roof span with a 6.5-metre-wide glazed slot down its centre, delivering light into the core. To help control reverberation and reduce noise, the ceiling is sloped downward to its minimum functional heights. The entire ceil- ing surface, including the sides which tessellate downward to meet the glazed walls, is made up of highly absorptive Hunter Douglas fiberglass acoustic paneling system designed for humid environments.